Welcome to Qismat Yinus' Blog: Funke Akindele Vs Ini Edo: Who Rocked The Gangster Look Better? 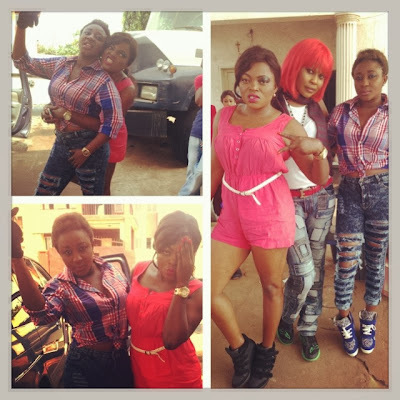 Funke Akindele Vs Ini Edo: Who Rocked The Gangster Look Better? Ini Edo and Funke Akindele are currently on set of a new comedy flick and these are some photos from the on-going shoot. 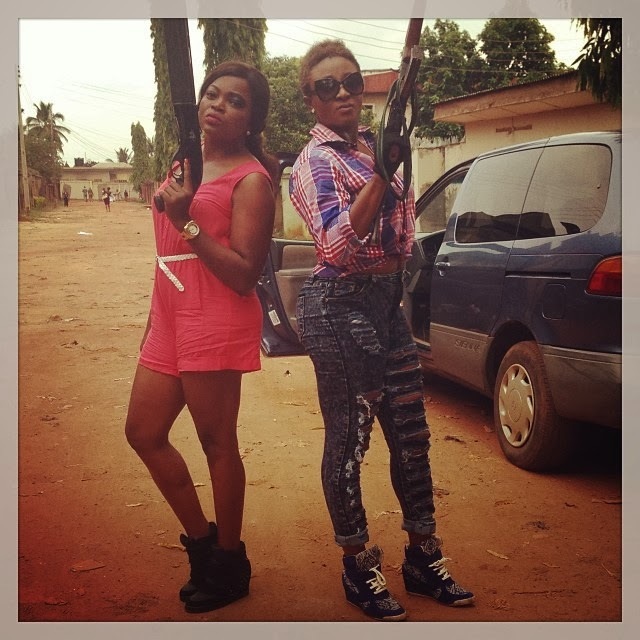 Who rocked the gangster look better?